Planet Hulk Fan-Made Trailer: Is This the Movie We Need? Ever since Mark Ruffalo gave fans the version of the Incredible Hulk they've been waiting years for in 2012's Marvel's The Avengers, many have been clamoring for Marvel to make a stand alone Planet Hulk movie. Mark Ruffalo himself teased back in April that it may still happen, some day, but another report just a few days later claimed that there is no movement on the project because Universal Pictures still owns those rights. Over the weekend, Youtube user UltraSargent took it upon himself to compile footage from 2003's Hulk, 2008's The Incredible Hulk, Marvel's The Avengers and last month's Avengers: Age of Ultron to create an epic fan-made Planet Hulk trailer. Here's what UltraSargent had to say about the video on Youtube. "The Marvel heroes decide to send the Hulk away, he conquers the planet where he landed, and attempts to return to Earth to take his revenge. Here is my Planet Hulk trailer. Pretty sure this is something Marvel will never do, so I did it anyway! Hope you enjoy and let me know your thoughts. Ending logo was made by me from scratch." 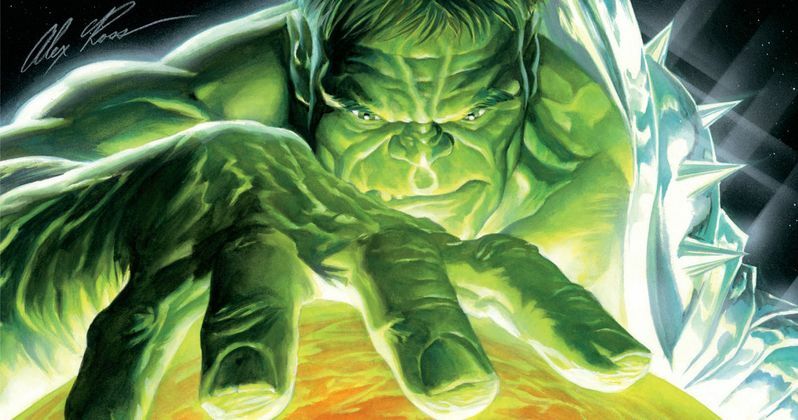 Earlier today, another unconfirmed report surfaced, claiming that ABC is developing a Hulk prequel TV series, but very little is known about that project. There have been rumors for the past few weeks that Mark Ruffalo's Hulk is also surfacing in Captain America: Civil War, where he will allegedly be squaring off against General Thaddeus Ross (William Hurt), who is rumored to transform into the Red Hulk. While we wait for more details about all of these Hulk rumors, check out the Planet Hulk fan trailer below. What Does Kevin Smith Think of Bill Maher's Stan Lee Comments?